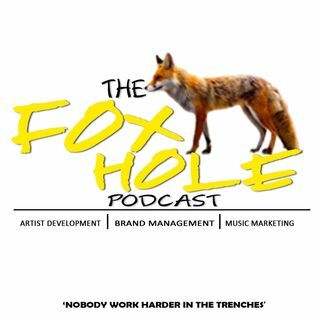 The power of your network sets the tone for your mark in the music industry. Its not who you know…but who knows you….. If I meet 2 people 5 times a week that’s 480 people in a years time that could potential do something for the movement. · Take a brief moment to write your contacts down…. · Organize them by who you really know…who you think you ... See More know…and who you really don’t know…..
· Focus on the people you really don’t know…. · Social media is great for networking initially breaking the ice….but here are some strategic tips for networking…..
· Meeting someone in person trumps all other connections. Nothing compares to being able to look someone in the eye when you’re talking to them. · The next best thing to meeting someone in person is being introduced to /and recommended by a mutual friend or business associate. · Meeting someone without following up is no better than not meeting them at all! 1. Put yourself in the way of opportunity! You have to be in the mix of where the music industry people are spending their time. For example the SE 360 Music Festival had all types of individuals in the room from all over the nation. Standard music officials. 2. Give before you receive. Think about what you can do for another person instead of what that person can do for you. When you provide value for another person they are more app to help you in your endeavors. 3. Always carry business cards. The business card is so essential. You should ask others for their business card. Collect them, organize them, and utilize them for business purposes. Its nothing worst than frauds posing to be somebody they are not in this game. Its frowned upon. 5. Follow Up with your contacts. That’s all for today…simple and to the point…Your Networking sets the tone for your career. Who are you going to meet today? A person I felt that networked very well at the SE 360 Music Festival was Preddy Boy P assistant Ashley LittleJohn. She really worked the room. She understood the power of relationships. I also seen Headrush and “Beautiful Monster” networking heavy while booking themselves for future events. I think im going to play a single they have on I tunes right now….. here is “playback” from beautiful monster …….